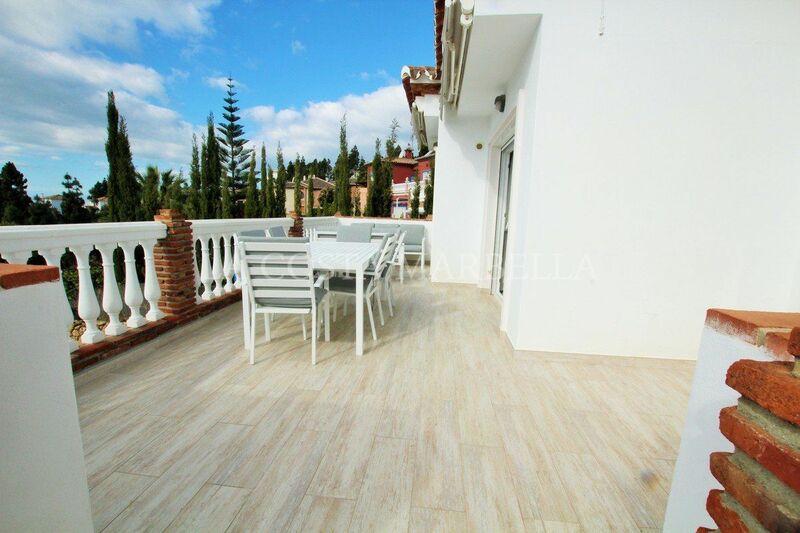 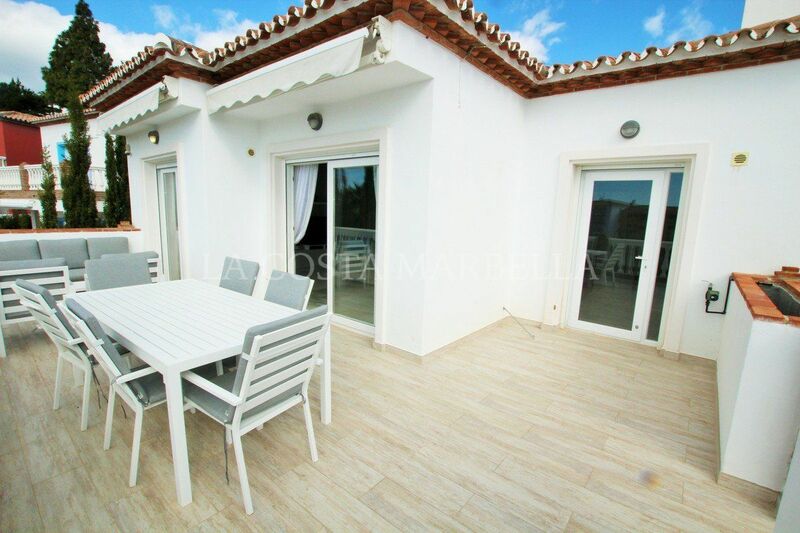 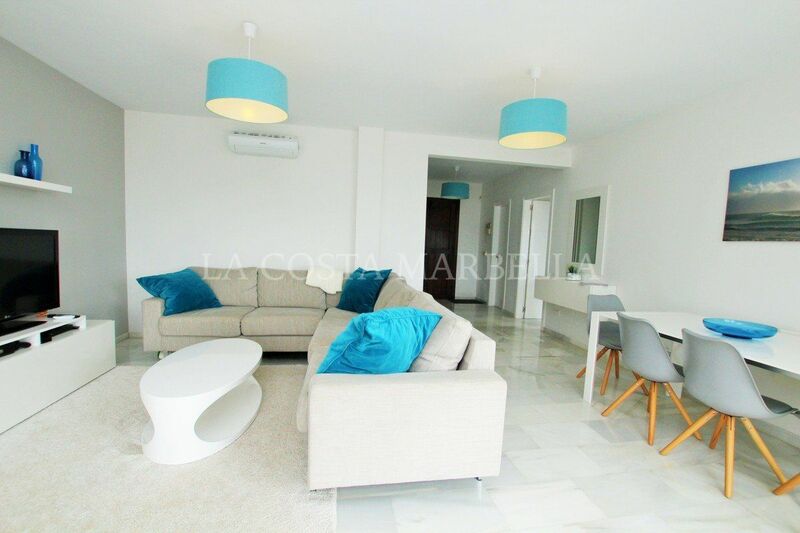 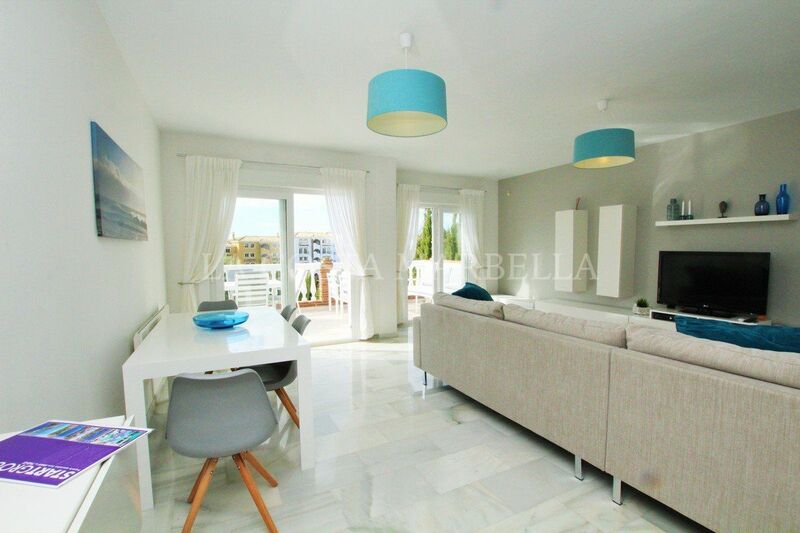 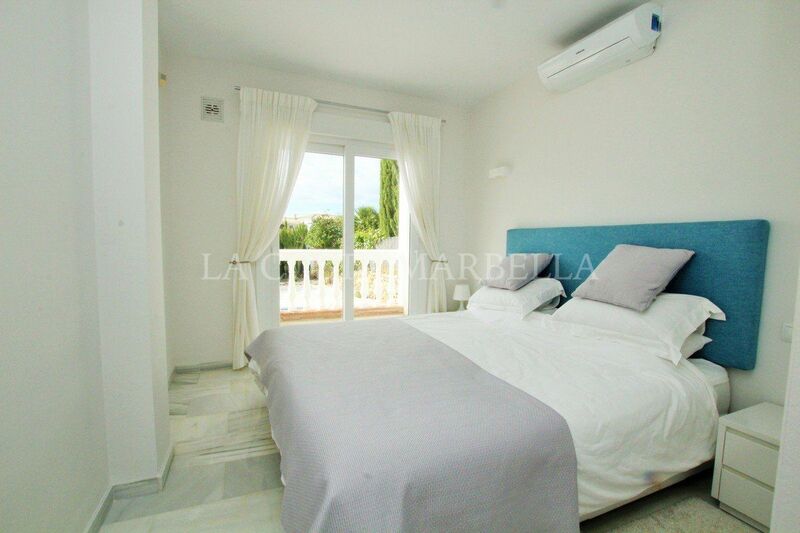 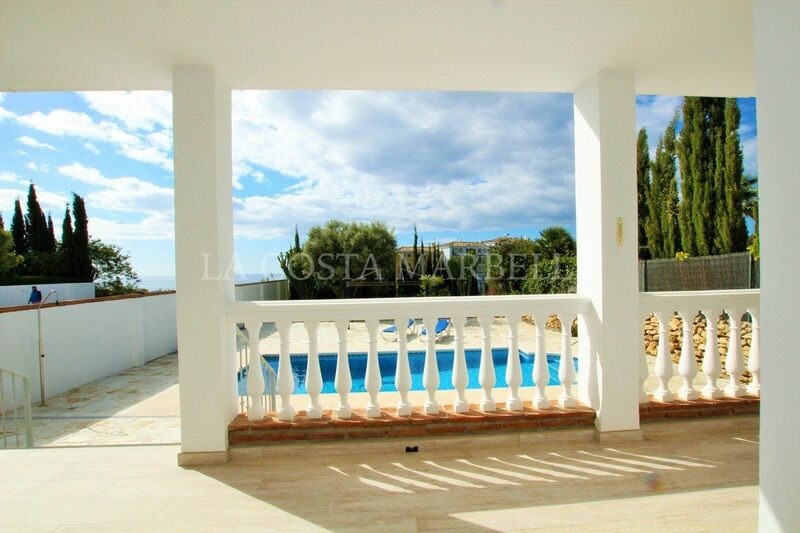 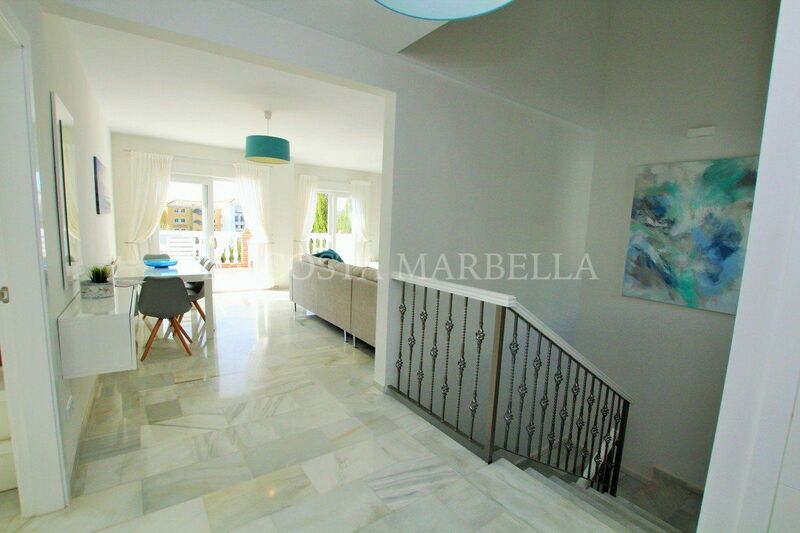 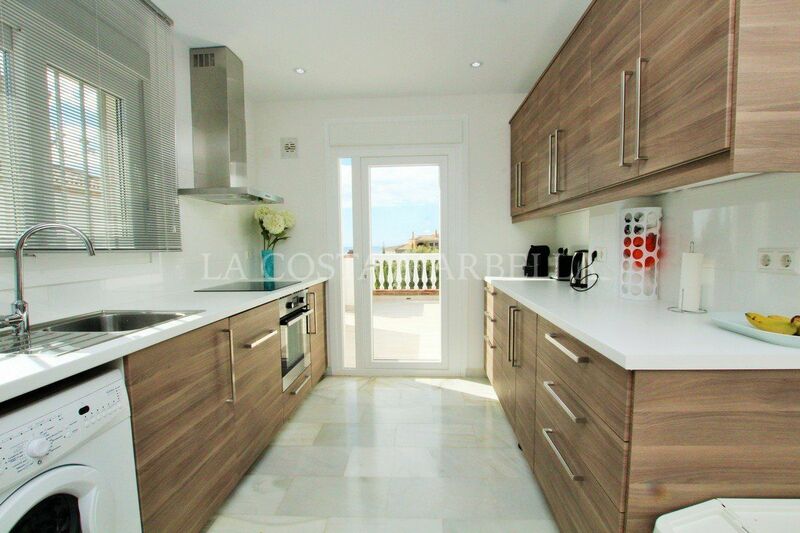 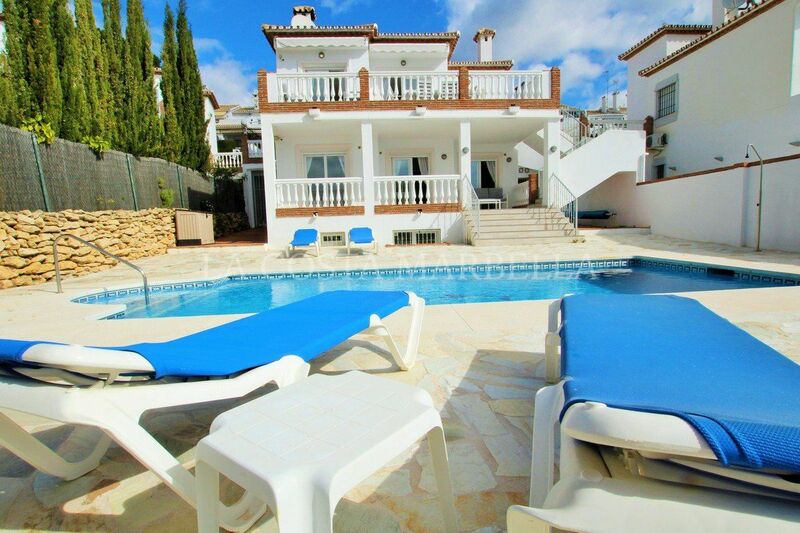 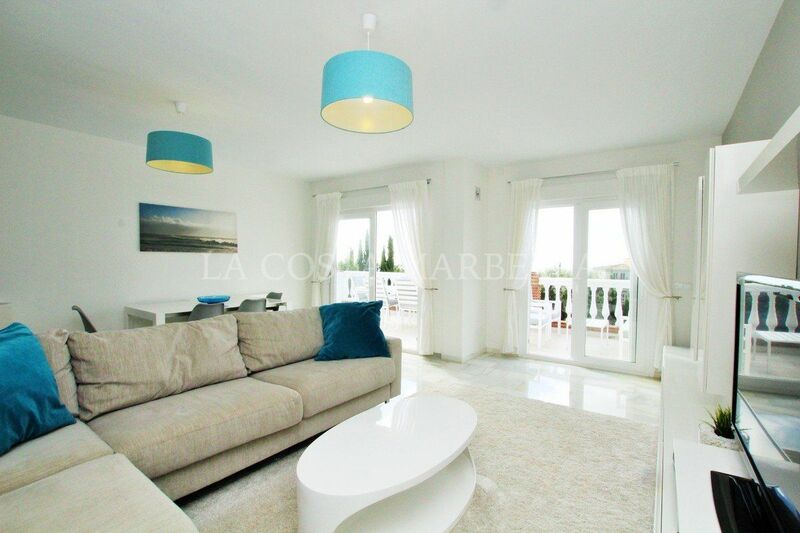 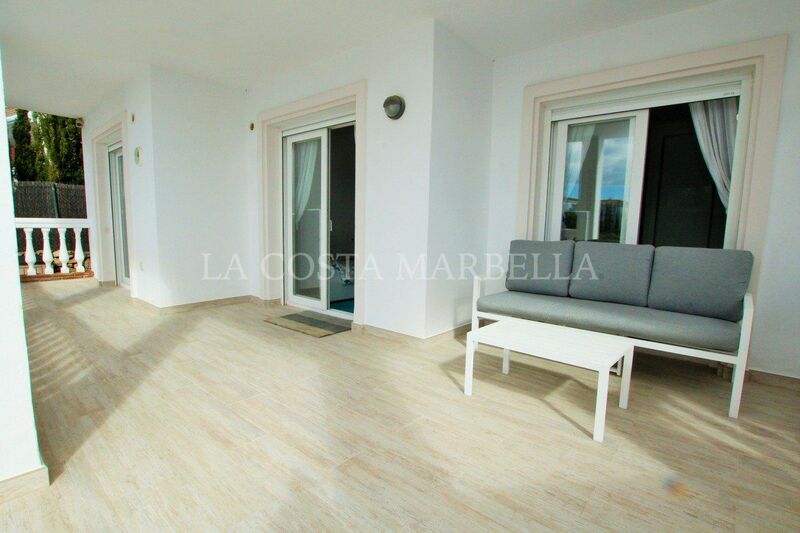 A beautiful and modern south facing villa with lovely sea views from inside and out. 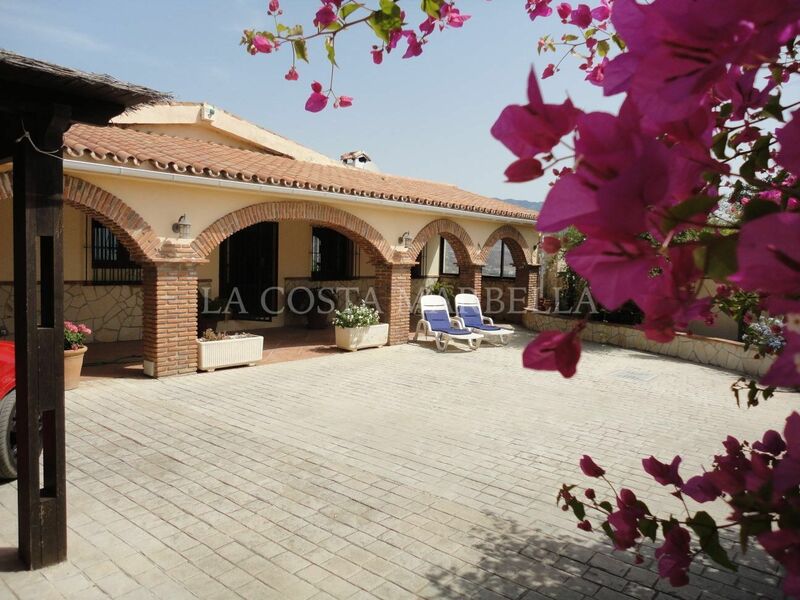 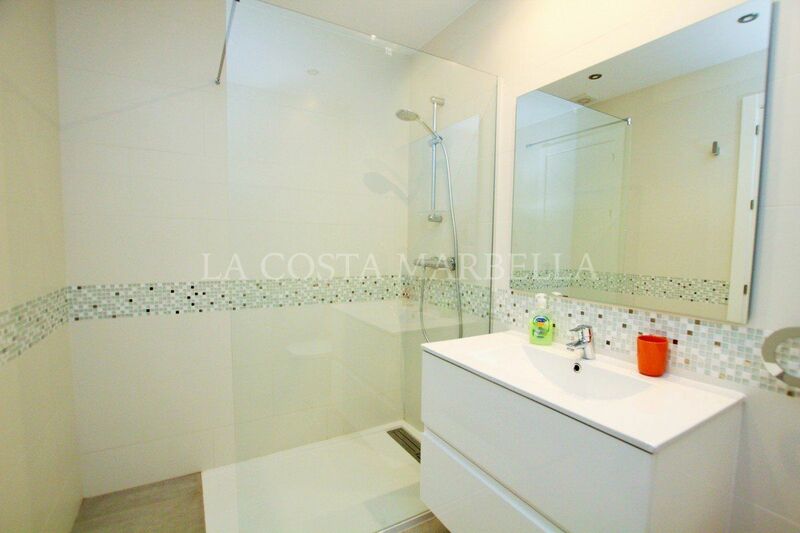 Built over three levels and comprises of six bedrooms, four bathrooms and a WC. 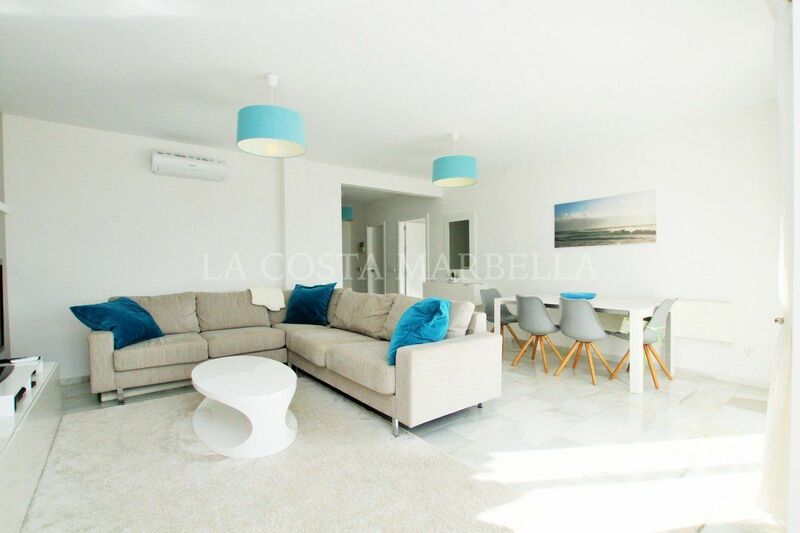 On the top level there is a bright and airy living room, WC, a fully fitted kitchen and a spacious sunny terrace with access down to the pool and garden. 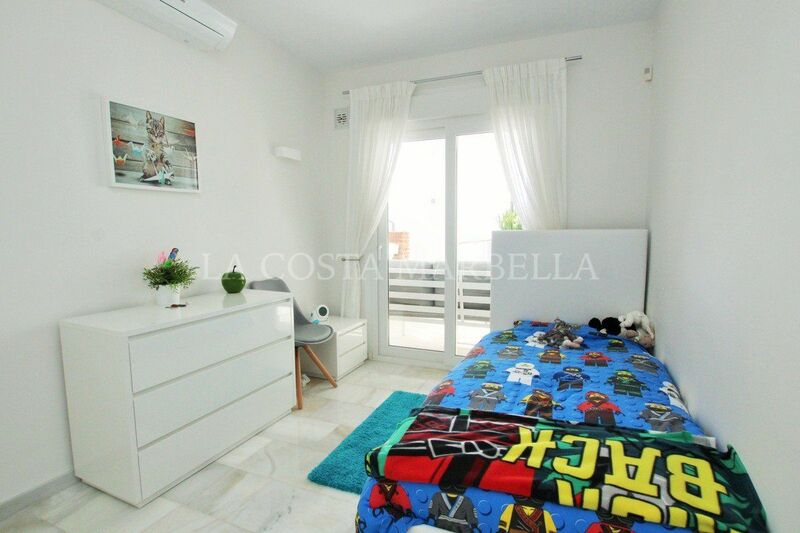 On the middle floor there are three bedrooms all with access out to the garden and pool, the master bedroom is en-suite and there is another bathroom in the passageway and this level has underfloor heating in the bedrooms and the bathrooms. 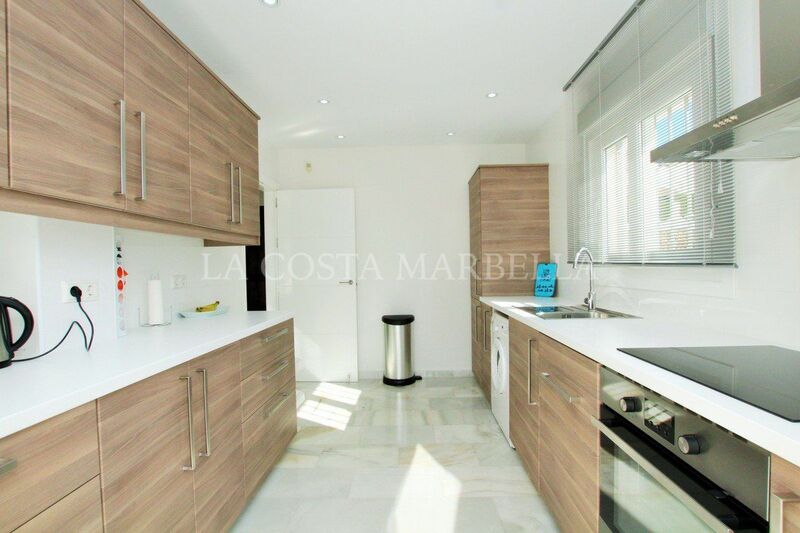 In the basement there are further three bedrooms, all with windows, a sitting area, a full bathroom and one of the bedrooms is en-suite. 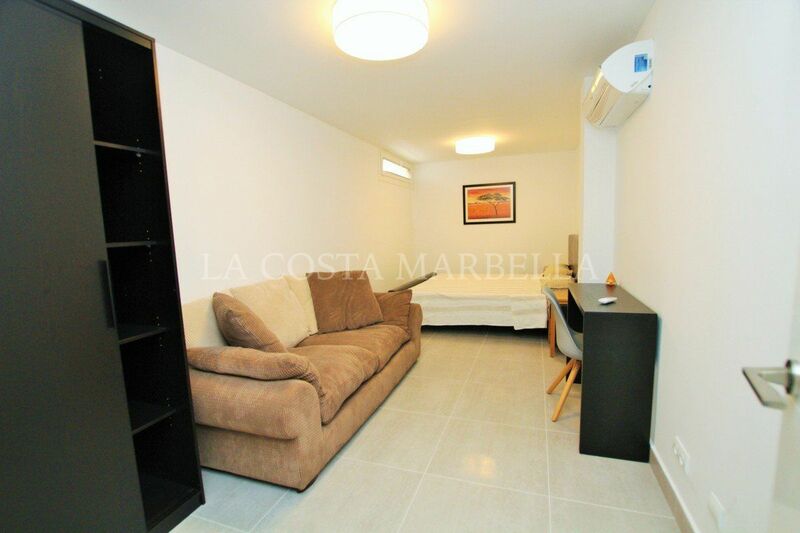 There is a second part to the basement that is unfinished and has two independent entrances and is currently used for storage but it offers the possibility to convert it into an independent guest apartment. 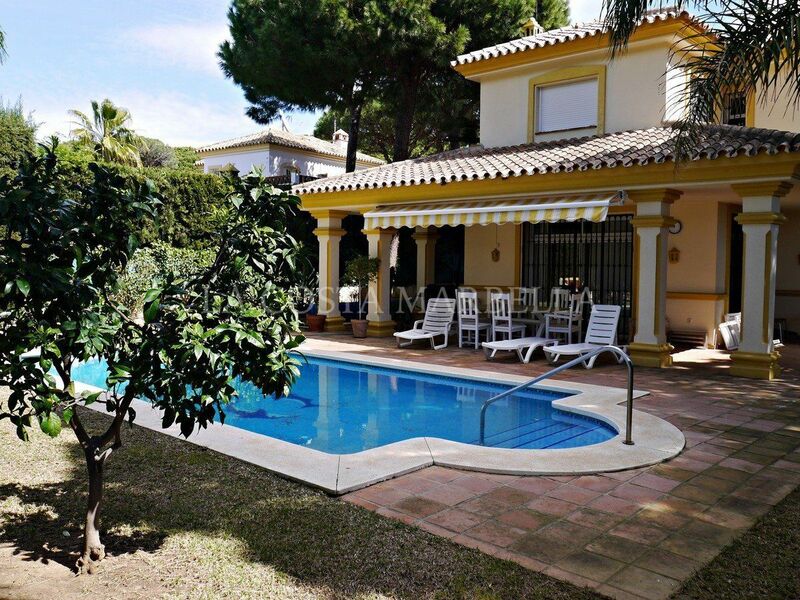 Out in the garden there is a large terrace, heated pool and a garden. 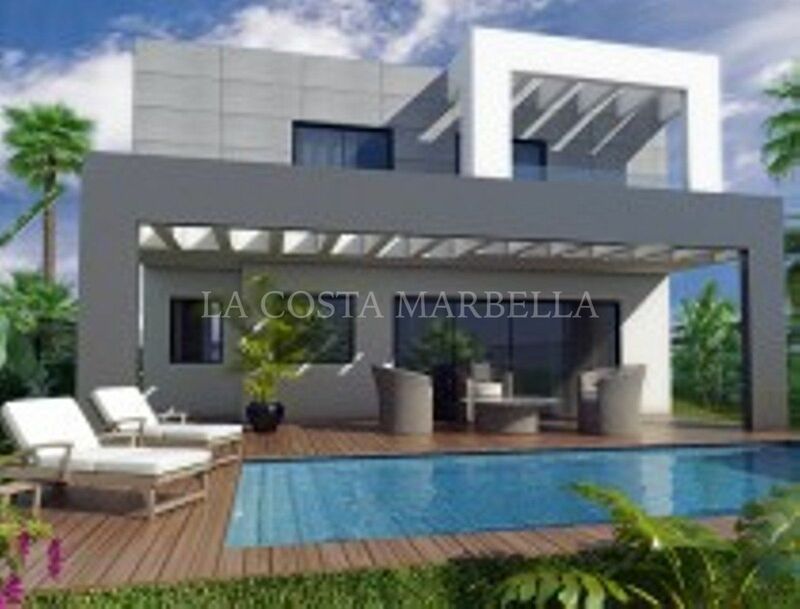 At the front of the house there is an electric gate that opens onto the front patio where there is space for two or three cars. 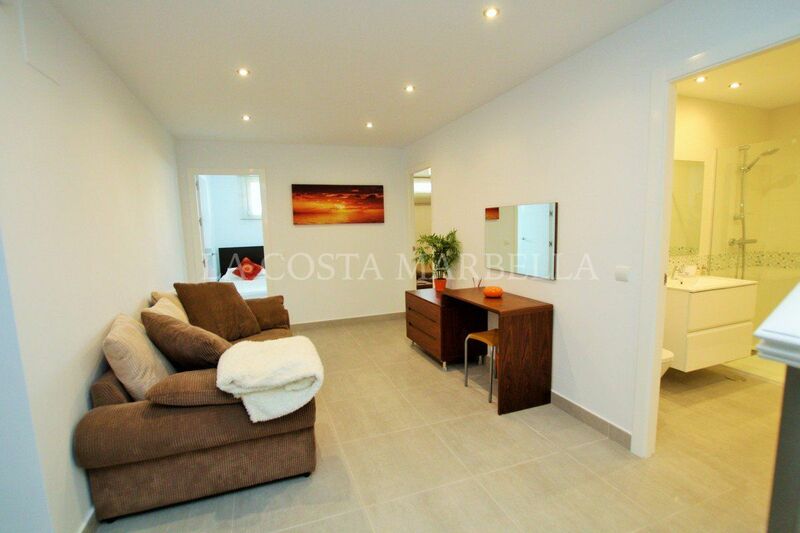 This fantastic property has air conditioning, double glazing and is nicely furnished which comes as an option. 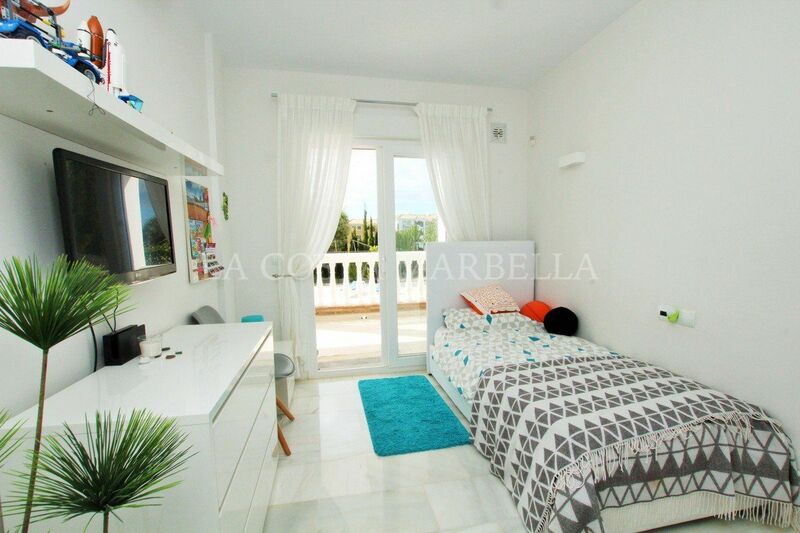 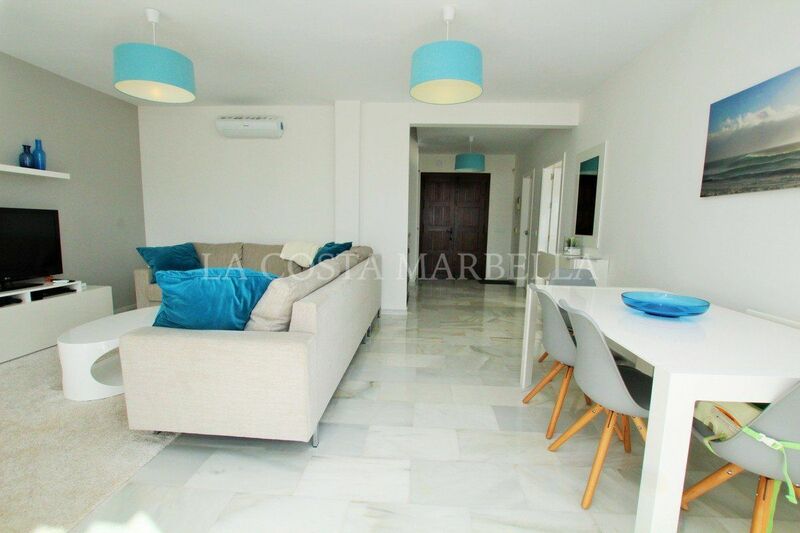 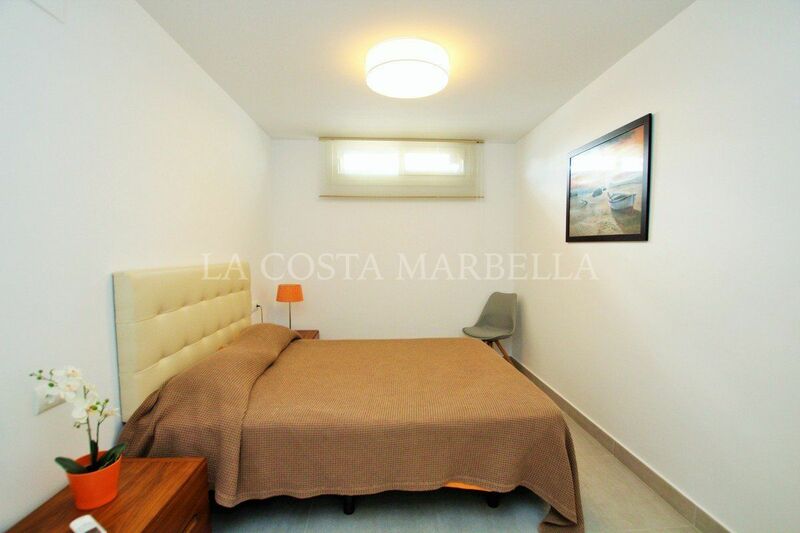 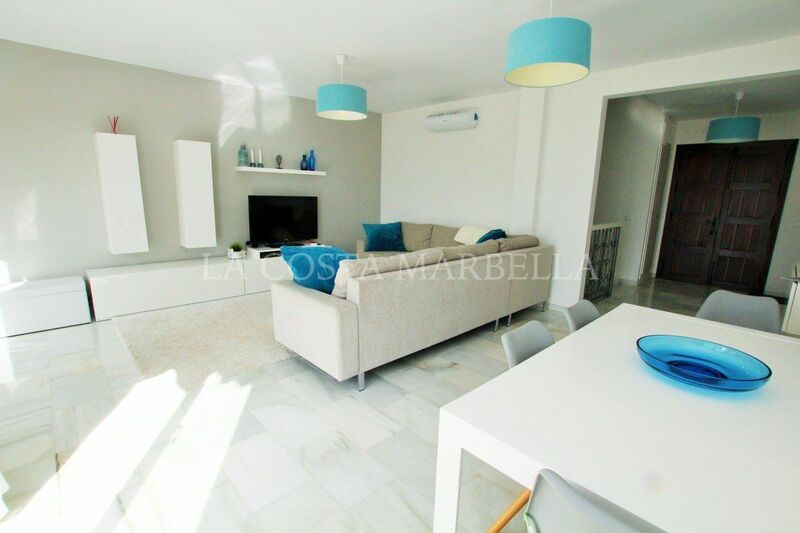 The beach and amenities are a three minute drive and the bus stop is just a five minutes walk where there are transport links to La Cala de Mijas and Fuengirola. 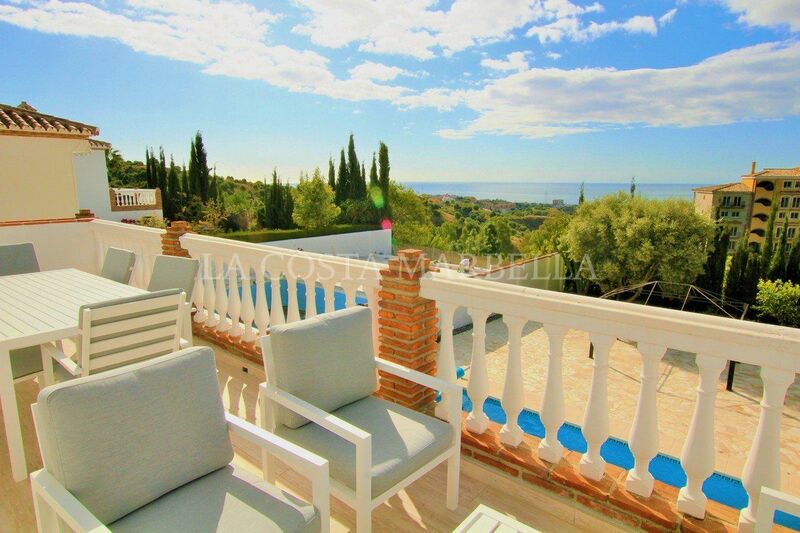 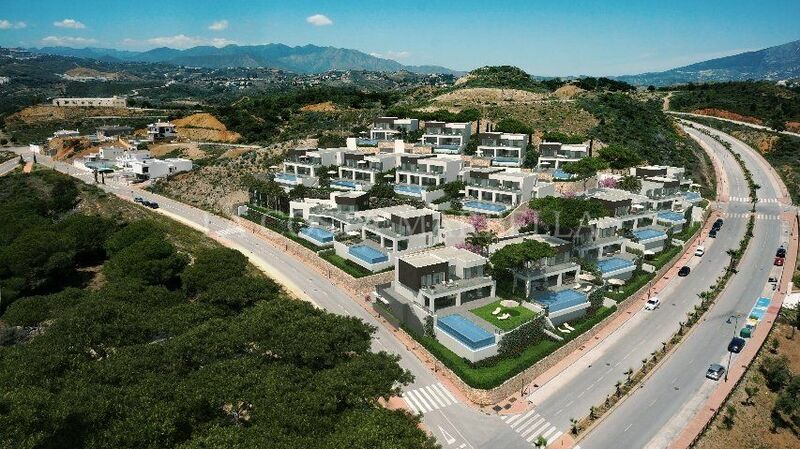 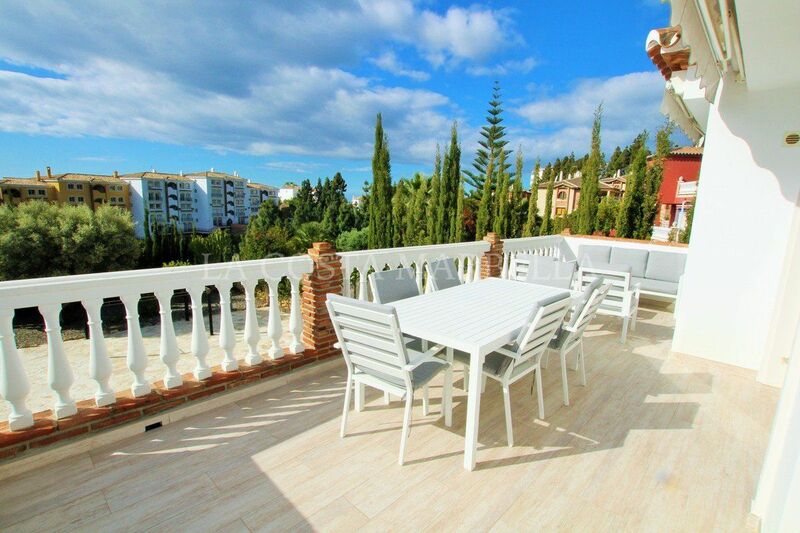 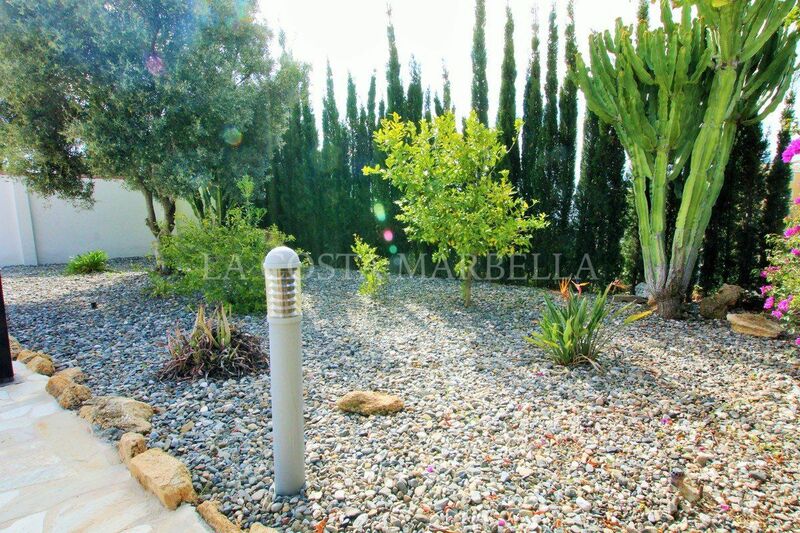 Please, send me more information about ref R3399238, Villa in Calahonda, Mijas Costa or similar properties.